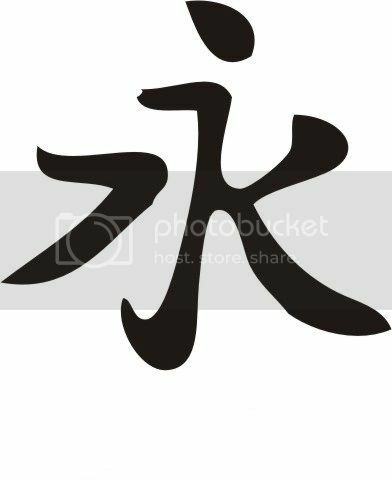 Clarification on a couple of Japanese kanji? 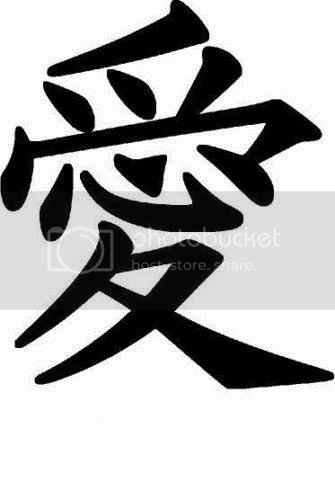 Can anyone just confirm for me that these kanji have the following translation; eternal (or everlasting) http://i1088.photobucket.com/albums/i339... love http://i1088.photobucket.com/albums/i339... Thank you in advance! Saving Android games to PC? I've bought quite a few games apps for my Android phone (Galaxy S3 mini). Some I don't play all that often, so I'd like to move them off the phone to free up some space. I don't want to delete them as I've paid for them! Is there a way to do this? Loaning photographic gear? What's your policy? I've often been asked if people can borrow my photographic gear (lenses & lighting equipment, mostly) but I've always been a bit reticent about doing so. My two 'guidelines' have always been; - if they can't afford to buy it, they can't afford to replace mine when it gets broken - cameras etc are tools not toys - we don't have to share What's your take on this? Am I being too harsh? What do you think of this photostream? Having trouble reformatting a partitioned drive on my laptop? The background: my Sony Vaio laptop originally had a partitioned hard drive (c: & d: drives) and was running Windows XP. I had problems with a root kit virus & eventually had to uninstall XP, reformat & install Win7. This was done on what was the d: drive to preserve the c: drive contents. On installing this, the d: drive got renamed to c: and vice versa. The c: drive now contains Win7 and when I boot the computer, it acts like a dual boot system, with option to boot old XP (corrupted) or by default, the new Win7. I now have all the programme files & OS on c: drive, and want to clear off the d: partition (which has all the old XP stuff on it) to free up some disc space. I've tried formatting the d: drive but it won't let me. I've tried altering permissions to delete files individually, but even with admin permissions, can't do this either. Anyone got any suggestions? I don't want to download any 'dodgy' software to do the job! WEP vs WPA security - any thoughts? I have a Netgear router supplied by Sky for my broadband. It came configured with a WPA key. I have changed the router security to a 128bit WEP key, so that my Nintendo DS can use the router for WiFi gaming. I know WEP is supposed to be less secure than WPA but whats the risk? I have security on my PC (McAfee) hard wired to the router and on my laptop (Norton) which is wirelessly connected. I've often heard the term, usually used in a slightly derogatory context, in US cartoon series. Who is/was he? Have tried Wikipedia but no entry, though I'm not sure of the spelling or hyphenation. Just curious! Help needed to connect WiFi on Nintendo DS!? I have used 'Search for an Access Point' on DS and it finds my Sky Netgear broadband router. The problem occurs when I try to select this - it says the access point's security settings are not supported by the Ninetndo DS. My router has an encrypted WAP key, rather than a WEP key - is this what's causing the problem? I've tried manually setting it up by trying to type in the WAP key but it doesn't allow me enough characters. Is there anyway around this, either on the DS or on my router settings? Or is it better to get a USB connector for the DS - how does this work getting round the security access problem? Any help appreciated! Question for Sky One sci-fi buffs - pilot series on early last year - name? The series was about the appearance of some sort of alien probe near a ship, which drove most of the crew mad but some survived and went on to spread the alien 'signal' aorund. US Govt had special team set up to try to quarantine each outbreak. Alien audio signal somehow altered DNA, even food got contaminated at one point. Pattern kept being found at 'outbreak' sites - some sort of triple helix? Haven't seen any repeats of it nor heard of any plans for a follow up series. Been struggling to remember the name - can anyone out there help?